Susie Summers is in high demand as a chamber music pianist, accompanist and teacher. She has appeared in recital at venues all over the UK and in Europe, as well as a recent tour of Australia with violinist Berent Korfker. Susie’s performances have been broadcast live on BBC Radio 3 'In Tune' and on BBC2 and BBC 4 television, and she has also appeared on ABC Radio in Australia. She was a founder member of the Del Mar piano trio, with whom she performed for eight years. From 2008 to 2010 Susie was the Phoebe Benham Junior Fellow in Piano Accompaniment at the Royal College of Music. Susie graduated with distinction in Piano Accompaniment from the Royal Academy of Music in 2007, studying with Michael Dussek and Tessa Nicholson. She also studied the piano with Ronald Smith and holds an MA in music from Cambridge University. While studying at the Academy, Susie received many prizes and awards. In 2006 Susie won the Academy’s Harold Craxton chamber music prize, the Harry Isaacs Piano Trio prize and the John Ireland Prize. She received a Stephen Bell bursary, the Winifred Disney Bursary and the Colin Murray Scholarship, and she was awarded the John B. McEwen Prize on graduation. 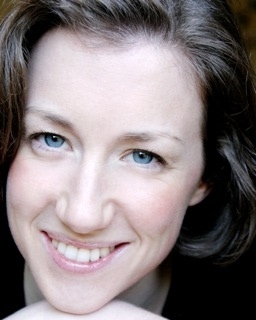 Susie is an official accompanist to the British Isles Music Festival, and has been a staff accompanist at the Royal College of Music, the Royal Academy of Music, Trinity College of Music Junior Department and Birmingham Conservatoire. Susie has a strong commitment to music education and her teaching posts have included Head of Keyboard at Bootham School.